We would like to share with you some exciting updates. 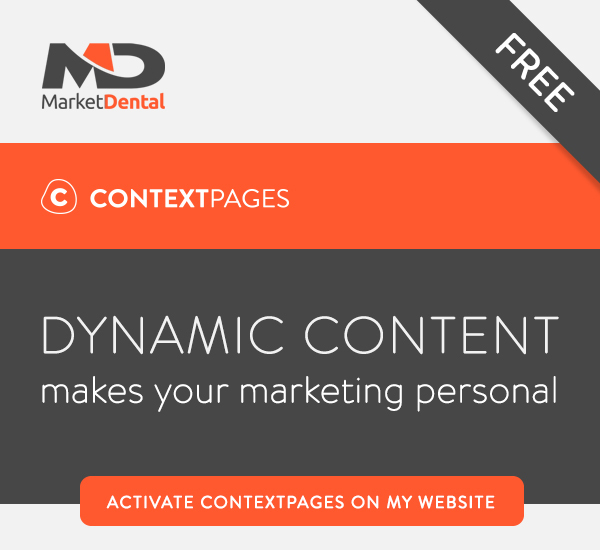 We are proud to introduce a great new marketing platform - ContextPages. ContextPages is a tool we've developed that allows you to create a personalized browsing experience for your website visitors. ContextPages recognizes returning patients, discerns their interests based on past behaviour and changes their site experience accordingly. For example, when someone is visiting your website and click on your Invisalign page more than one time, ContextPages will recognize your patient and using the past browsing behaviours and interests it will show a customized snippet about Invisalign. If you'd like to offer your patients a way to engage with your website, show them dental procedures that are personal and relevant.